5 Electric. Easy to book. Hard to leave. 9 Jack McCarthy Butchers. An Afternoon in Kanturk. 11 Slow and Low at the Chicken Inn. Swing by. And Buy. The Rhone cased Chateau de Saint Cosme (est. 1570), a negociant-vigneron, uses the Solera blending technique, usually associated with sherry, to produce this excellent non vintage Grenache. 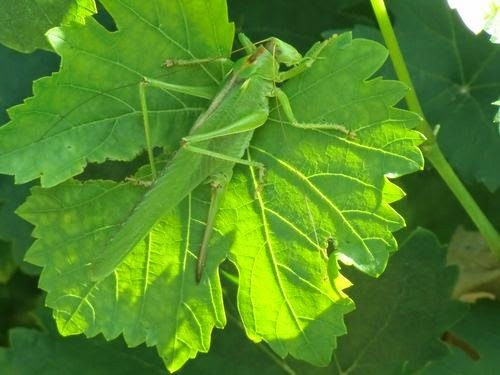 Unlike a vintage wine, Little James “is a permanent creation of a solera, which gets more and more complex every year with an irresistible crunchy fruit”. 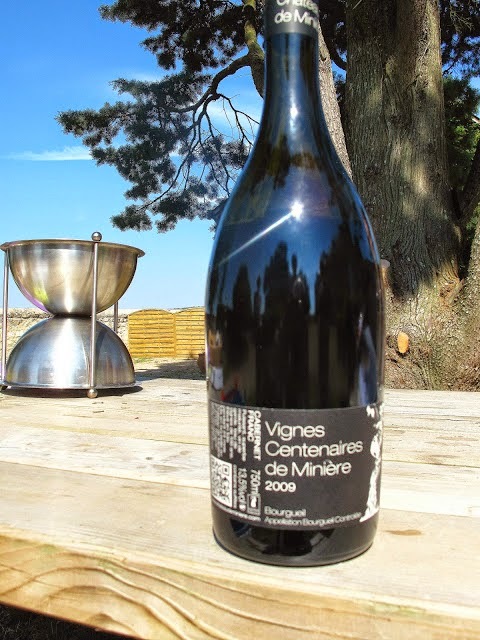 The typical bottle has fifty per cent of the current vintage and fifty per cent from wines of the previous decade. There are aromas of darker fruits (plum and cherry for me) and some pepper in this dark red wine. On the palate, you'll find lots of fruit and that pepper again and great flavours all the way through the long finish. “A winner” according to Robert Parker. Very interesting and Very Highly Recommended. And spices up the cheddar! East meets West in Kerry and the results are good, very good. From a mountain village in the Philippines to a coastal village in North Kerry comes Leah. 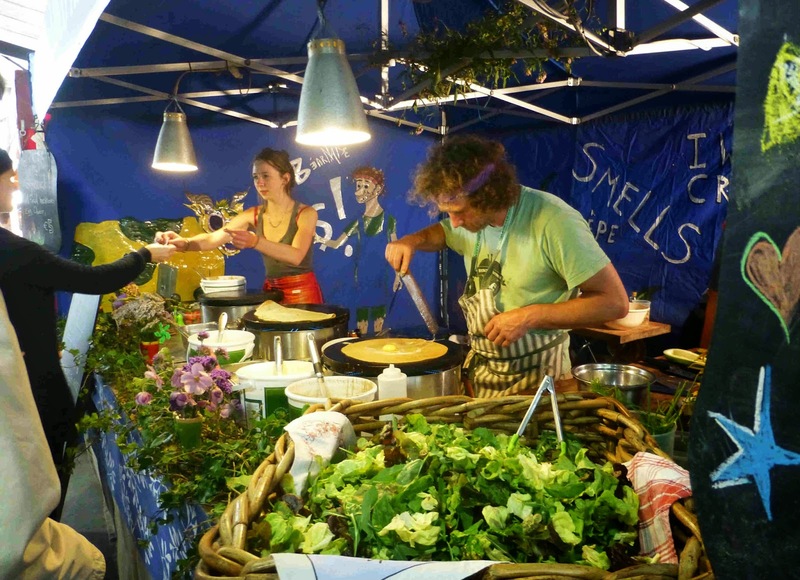 She met husband Billy in London and together in Littor Strand they’ve put their respective food experiences and traditions in the mix and now you can sample some very interesting products indeed. Billy’s grandfather William T. Sweeney founded Shannon Vale Creamery in the 1900’s; his father, Rory (Bill), was the General Manager of Cadbury’s Chocolate Factory in Rathmore, Co. Kerry before taking over as General Manager of Rattoo Creamery. 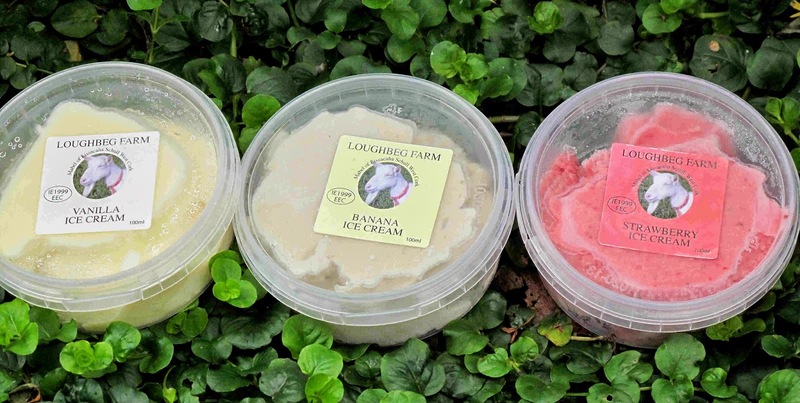 So dairying and cheese was very much part of Billy’s background and it is not so surprising that cheese is one of the products now produced by Leah’s Gourmet Foods. 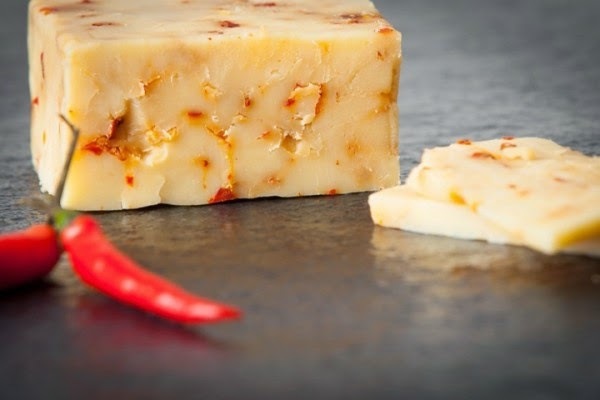 But cheese with a twist, as Leah has added a touch from the Phillipines, a spicy one! 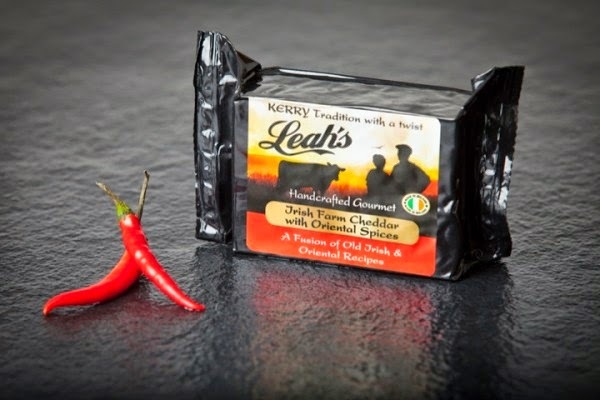 Leah’s Gourmet Cheese sees the traditional Irish Farm Cheddar get an “injection” of red chillies, garlic and ginger. The initial attack could take you by surprise but you do get used to it quickly. Many of us Irish look for a cool way to counter the heat of the spices and I’ve got one. Had tried a few relishes, including a Mango (a pretty good match). But the best pairing I came across was with a beautiful jar of red currant jelly made by Toni’s Homemade and bought at Bandon Market. A perfect match between Cork and Kerry. Next time, we’ll tell you all about Leah’s Black and White puddings. They also do other products including Irish organic smoked salmon and a lovely line of boards and slates. Just seen that Leah’s Gourmet Foods have been chosen as an "InterTradeIreland Business Ambassador" and have been invited to The Mansion House & Áras an Uachtaráin to meet President Michael D. Higgins, Minister Richard Bruton along with many other TDs & senators, VIPs and leaders of the business community in Ireland. 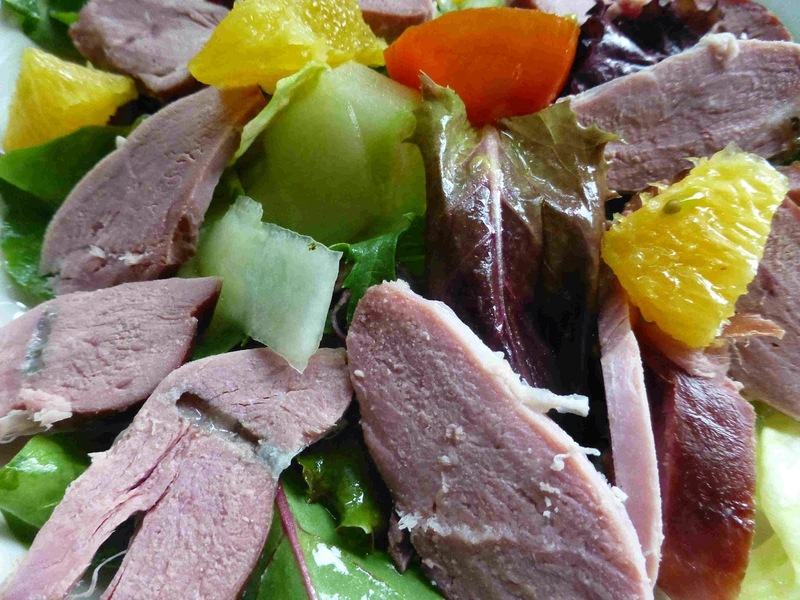 Many of you will be familiar with the award winning Skeaghanore West Cork Duck, produced by Eugene and Helena Hickey near Ballydehob. Recently, I spotted a pack of their Smoked Breast of Duck at the Fresh from West Cork stall in the English Market. I could see the duck through a "window" in the pack and couldn't resist. Traditionally smoked with oak, it is fully cooked and ready to eat. 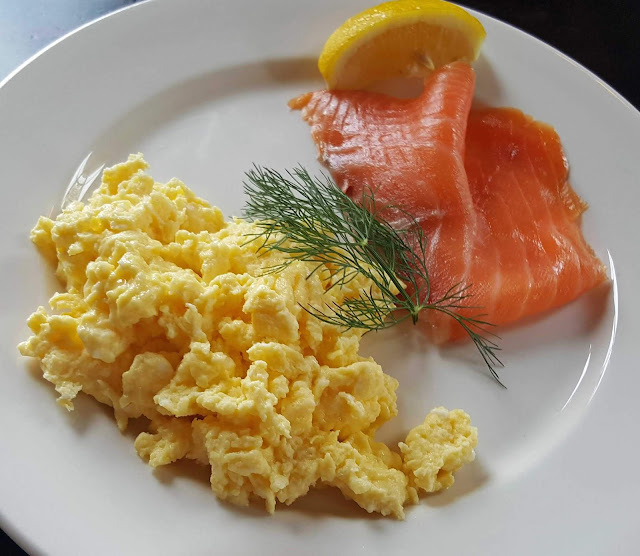 It is absolutely delicious, a really top notch product, tender and succulent and naturally plump but, in this case at least, with a lot less fat than you'll see on similar products. 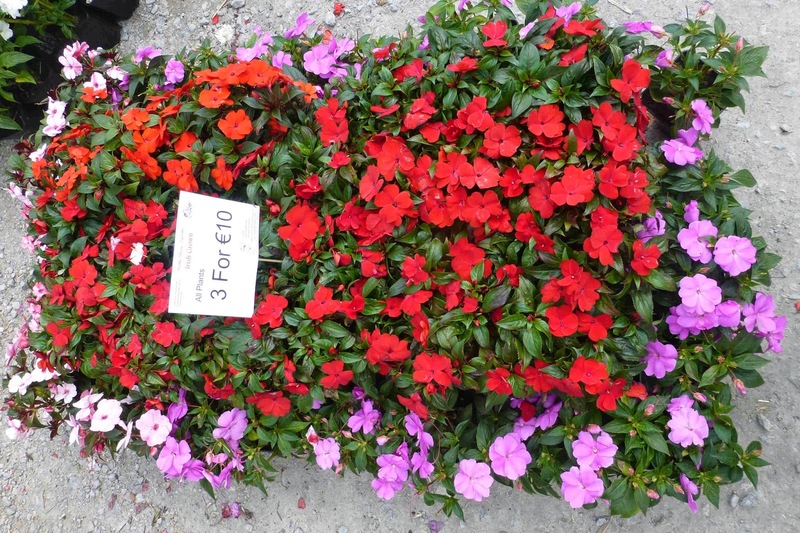 The 220 gram pack costs nine euro and is our Taste of the Week. 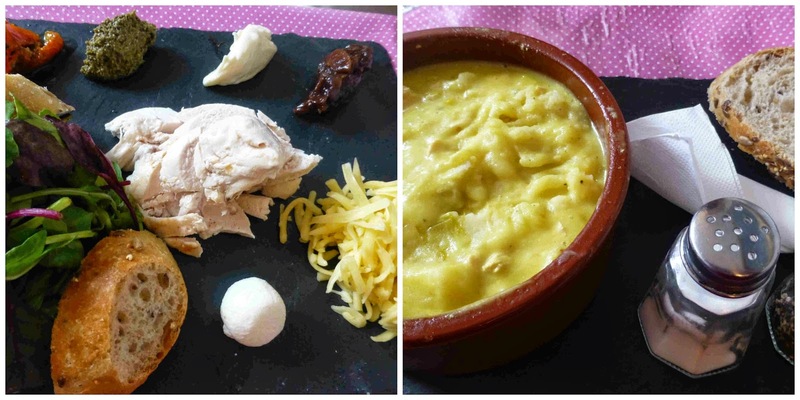 * A few weeks back, I highlighted a trio of quality ready to use dishes by Yumm! 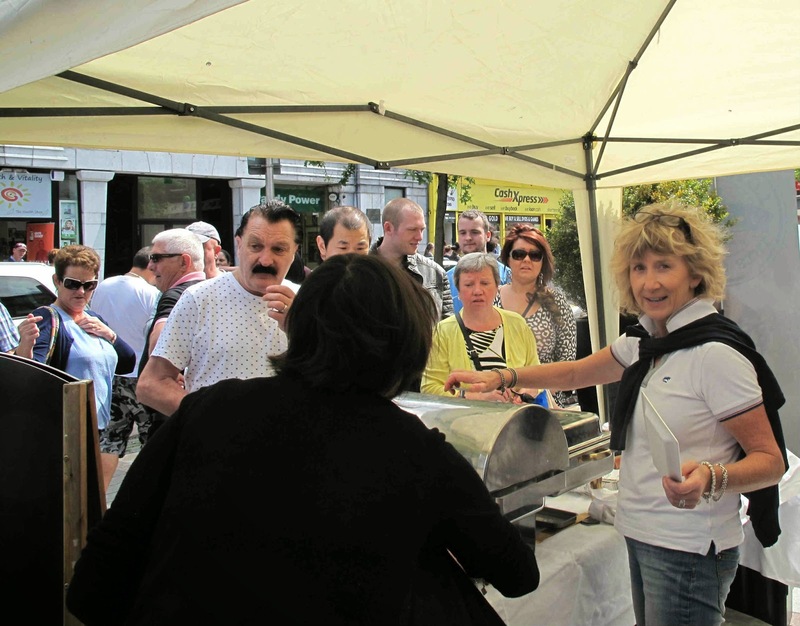 Since then, they have come up with another gem, called Lisheen Lasagne, also available at the Fresh from West Cork stall. By the way, thanks to Cono Sur, one lucky voter will win a box of wine. This Riesling, from the Nahe village of Niederhäuser, speaks for itself. It is simply superb and Very Highly Recommended. Colour is a very pale honey with hints of green. On the palate, it is tangy and lively, green apples for sure, and with a good dry finish. Nothing at all complex here. Well made. Excellent. Buy it and try it! Moulin de Gassac Merlot, Pays D’Herault 2013, 13.5%, €12.49 (9.99 for August). There is a French sale at Curious Wines this month and you get 20% off when you but two French wines at €25.00 or under. These are two of the cheaper wines, both from the South of France, and two that I enjoyed. Nimes is where denim comes from (de Nimes) and also where this white originates. The fact that it was made mainly from the Roussane grape caught my attention. I like the Roussane and liked this bottle, fresh and fruity and easy to drink. 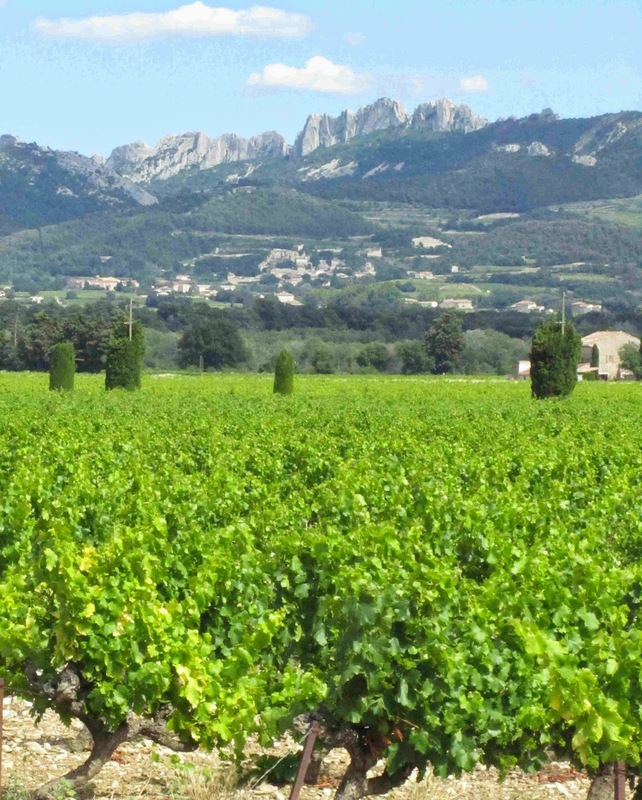 Moulin de Gassac, farmed organically, overlooks the Med near Sete in the Languedoc and “offer a collection of wines highlighting the special characteristics of each grape varietal”. This medium bodied Merlot is one of the series, a rather friendly one, easy drinking and great value, especially at the moment. Shawlies Swing on Coal Quay Stage. The Bonded Warehouse: the future? The Bonded Warehouse: the future? 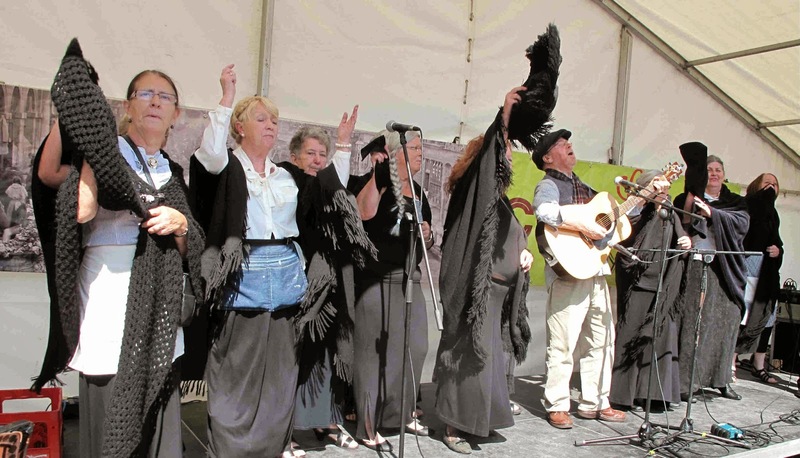 A lively bunch of shawl clad women got the 2014 Coal Quay Family Festival off to a swinging start as they took to the stage for a couple of songs. The stage would be busy for a few hours after that with all types of musical groups in action. All part of the Cork Heritage Day and a very appropriate time to remember the past in the heart of the city, politicians (at least one) and priests present as the original shawlies and their families were remembered in song and prayer, and pigeons released in memory of the past and in hope for the future of this vibrant area. And much of the vibrancy is provided by the relatively new businesses in the famous street. The likes of the Cornstore and the Bodega and the spanking new Rising Sons Brew Bar played key roles on Saturday. And then you had the buzz of the Farmers Market, a very genuine market, probably underrated market, where most of the stall holders are actual farmers and producers. I made some tasty purchases here, particularly from Ballyhoura Mushrooms, Caroline and Orchard Cottage Dairy. The Cornstore's Mags O'Connor dishing out crubeens galore. And indeed it was here, at the food shop (open Thu-Sat), that I had my first drink of the day, a complimentary glass of wine. And I wasn't the only one enjoying the vino as the sweet voice of mezzo soprano Amanda Neary spilt over the sunny street. The Bodega were serving free bodice but the queue was massive and I couldn't get near but I did avail of a sample of the smooth and gorgeous Mi Daza stout, courtesy of the Rising Sons stall. And more food at the Cornstore. Out on the street, Mags O’Connor and her merry helpers were dishing out tasty crubeens and a terrific lamb stew (with pearl barley). 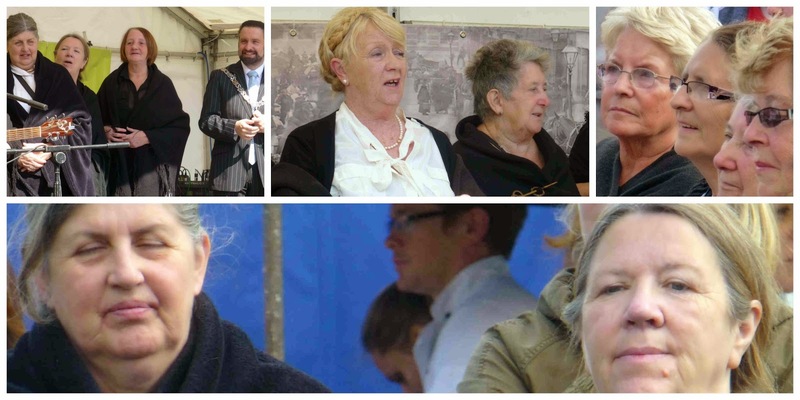 Read more about the Coal Quay and the hard-working people behind the annual festival here . Inside and outside the bond. The vault on the left was the regular store for Hennessy's brandy for decades. The Bonded Warehouse (perhaps best known as the bond) also has a long past but what of its future? Later on Saturday afternoon, along with a few dozen more and under the expert guidance of Harry Golden, I visited the ancient building which has been a bonded warehouse for wines and spirits for over 200 years. Temperature (about 12 degrees) never varies and is perfect for the storage of wine. But not for much longer. A new purpose built bond is now operating in Little lsland and the holdings here in Custom House Quay are being run down. So this public tour, only the second ever, could well be the last and it was with some nostalgia that Harry showed us around. What will become of it in the future? Harry sees huge potential here - there are after all about five acres on this last triangle of land where the two channels of the River Lee meet. In the bond: Harry Golden (centre) talks of the past and of the future. It is a listed building but still there is enormous potential in this magnificent location. Just hope the dreams don't become choked with red tape. 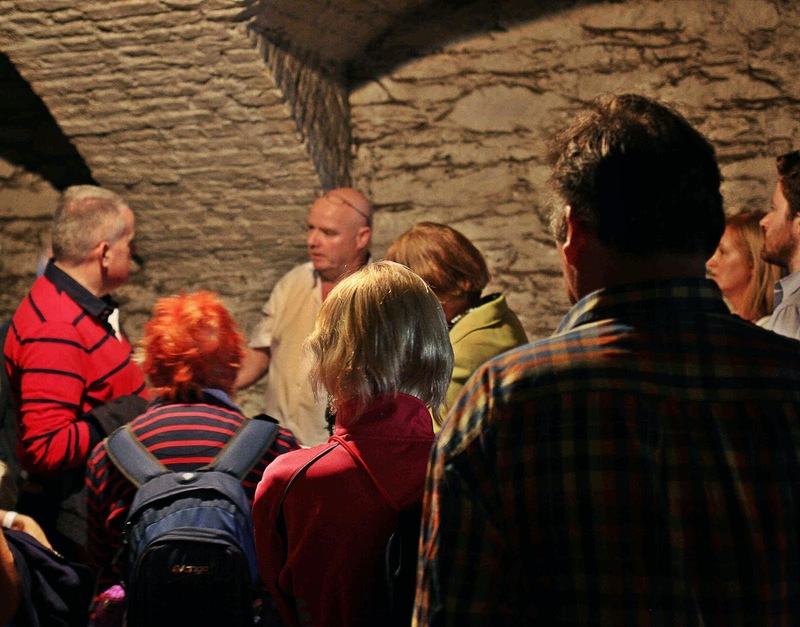 Some of Saturday's visitors were half hoping to find a dusty bottle of wine or brandy in the vaults but the ones we visited were empty! Though hopes rose briefly when glass was spotted in a hole in the wall. Just an old light bulb! One of the vaults visited was Number B17 and that had a long association with Hennessy’s Brandy of Cognac. The Hennessy family originally came from North Cork and, over many decades, their brandy was unloaded at the quay and sent down a line of rollers in the vault to be stored in the bond until the importing merchant paid the due tax. Beverly Mathews, Maurice O’Mahony and Colm McCan, the trio who organised the Wine Geese series last year, had organised the bond visit, with help from Harry of course. 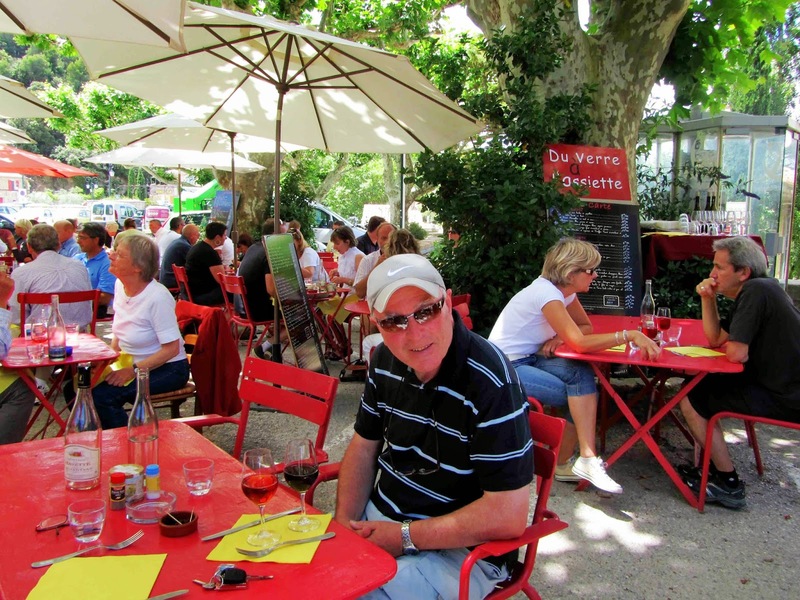 And later Beverly invited us back to L’Atitude, the lovely wine bar on Union Quay that she runs with Emma Lagrande. And here we heard of another of the more recent Wine Geese. Colm McCan told us that Marian Smith grew up in Ballyjamesduff and now runs the Elgin Ridge Winery (it is 282 metres above sea level) in South Africa. 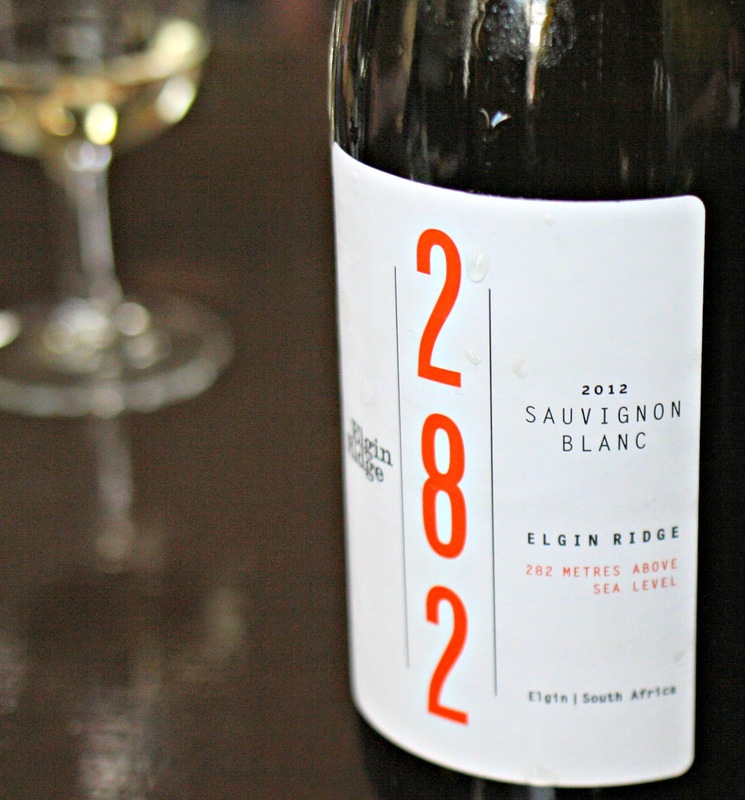 And the generous L’Atitude gave us all a glass of the 282 Sauvignon Blanc, a lovely fresh wine. It is an organic operation and interestingly Dexter cattle help keep the vineyard clean! Before we started the bond tour, we had a look at the interior of the Custom House, open all day for the Heritage event. Highlight here is the 1906 boardroom (especially the delicately patterned ceiling). If you didn't get there this year, put it on your list for next year. Must say, I’m looking forward to Heritage Day 2015 already. 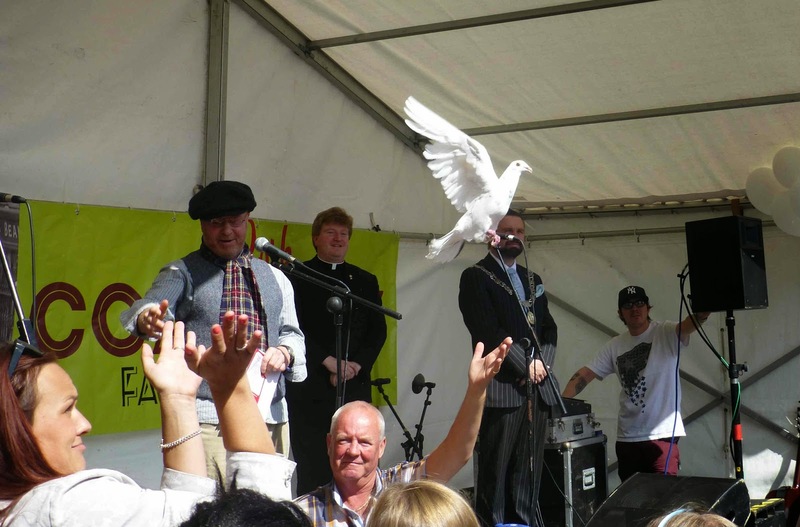 Deputy Lord Mayor Kenneth O'Flynn finds a spot on stage for a young lady. 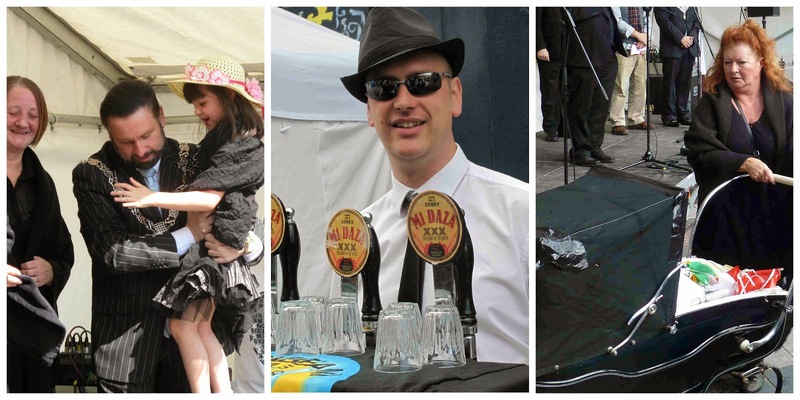 Dishing out Mi Daza stout; and the pram, an essential on the old Cold Quay! The Workshop. Pairing Teas and Desserts! Had an unusual pairing exercise at the lovely Workshop Tea Rooms near Cork Airport on Tuesday. In the “gap” after the mains, I was trying to match teas with desserts. That's a new one! It worked out well though and indeed the excursion into the narrow country road at the rear of the airport proved well worthwhile overall. The Workshop itself, in an old carpentry workshop, is a little bit unusual. 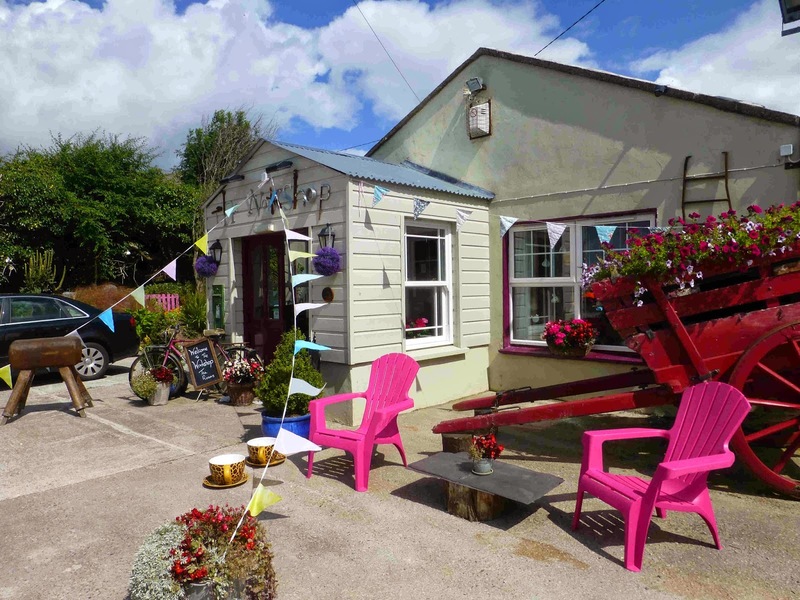 True, it is a restaurant, tea rooms and coffee shop but it is also a display of vintage and antiques, everything from old style cups and saucers to a cart full of flowers, writing boxes to antique chairs, even including a large poster of Bertie Ahern. Everything, or almost everything, is for sale here! Having passed the old family pram on the way in, you’ll have a warm greeting and then realise that that is really a record player in the corner playing some old style music. As you visit the bathroom (do, whether you need to or not) you’ll enter through a pair of haberdashery doors (from East Cork in the 1820s) and you’ll wash your hands in an old ship’s sink. And do check in the vampire mirror before you exit! The Workshop, just a year on the go, is busy for lunch and soon we see why. 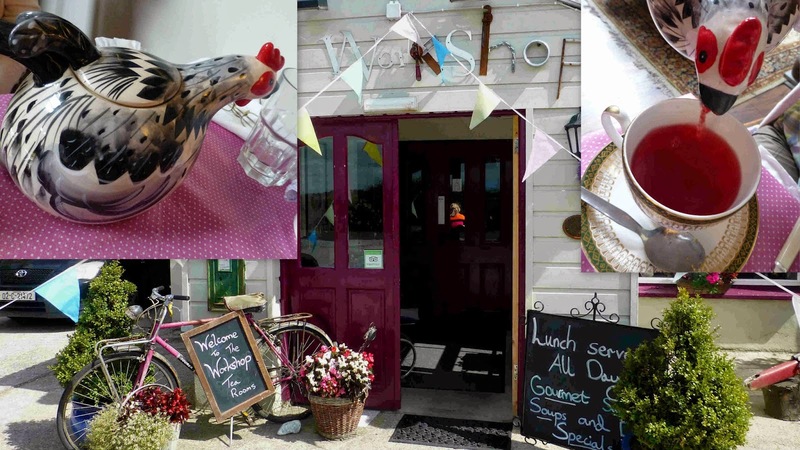 Some great sandwiches here and you may get a cup of soup and and a sandwich for just €7.50. We ventured a little upmarket! I went for the special of the day, a chicken pie (8.50) while CL took their Tapas, really a chicken salad (8.00). The Pie was top notch, lots of very flavoursome chunky chicken pieces topped with creamy potato and a couple of slices of Arbutus bread on the side. Arbutus too with the excellent chicken salad, another very attractive dish. Coffee is by Badger & Dodo, so that spells quality. They have a lovely list of teas and, as I hinted above, we took our time picking ours. Mine was the Workshop Cream (roast coffee beans, jasmine flowers and natural aroma). 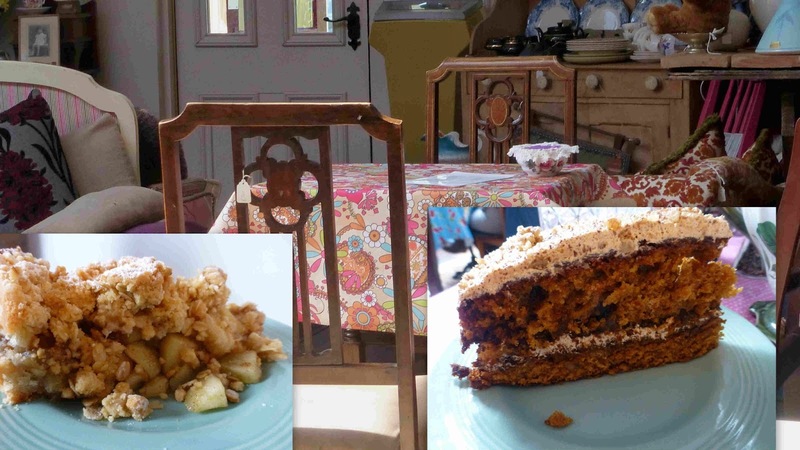 “It’s creamy,” they say, “with a pleasant coffee/Bailey’s taste.” In any event, it went very well indeed with my perfect slice of Coffee and Walnut cake. And the second match was also spot-on! The tea here was the Rain Forrest (named after their mom's family). 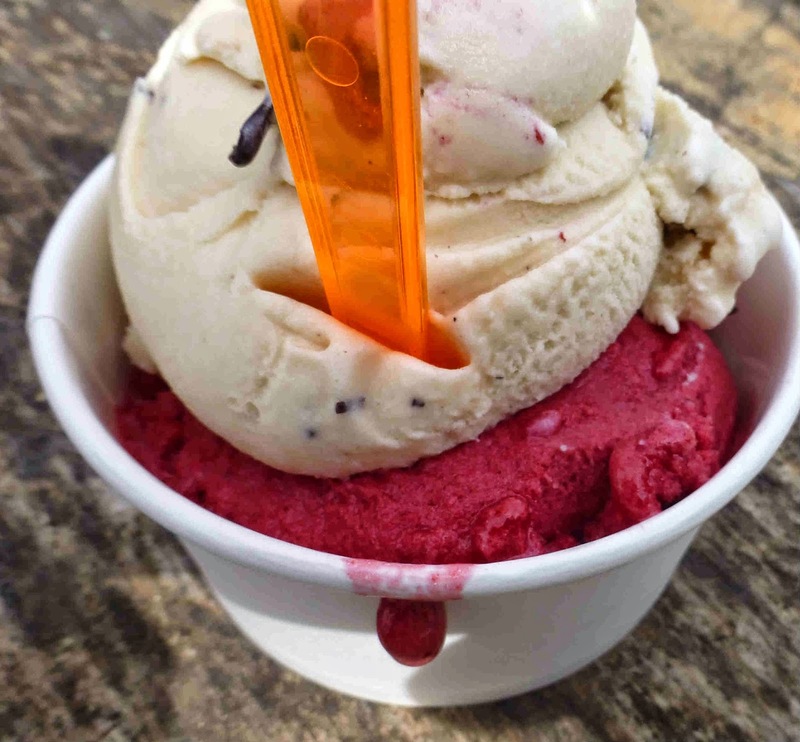 It poured red, and exotic flavours were provided by hibiscus, apple pieces, currant, candied mango, pineapple and banana chips. A superb drink and went ever so well with the really well made Apple Crumble, complete with real fruit chunks and real crumble. Desserts costs €4.50 each and the teas came in at €3.50 for a large pot each. We thought we were getting a cup each so I'm afraid we left a lot of tea behind. We’ll know better the next time. And there will be a next time as we very much enjoyed the whole experience, including the unusual setting and friendly service. Make Friends with Karwig’s Gru-Vee! It is always worth a call to Karwig Wines in Carrigaline. Even more so when they have new Austrian wines in, as they have now. Picked up a few the other day and this Grüner Veltliner is my standout favourite. Colour is a pale honey, micro bubbles clinging to the glass. There are aromas of white peaches with some floral elements. On the palate, is fresh and lively (those bubbles?) with lovely fruit flavours, the slightest traces of sweetness yet well balanced all the way through the lingering finish. Very Highly Recommended. By the way, don't worry if you over-buy. The winery says it is excellent to drink now (and I'd concur) “but has a storage capacity of 3-10 years, at ideal storage conditions even longer.” So now you know! If you are in Karwig’s and looking for a red, here is one I can heartily recommended. It is the Caldora Sangiovese Vendemmia 2012, an IGT from Italy. This gives you an intensely fruity welcome, really easy-drinking and excellent value at €13.00! 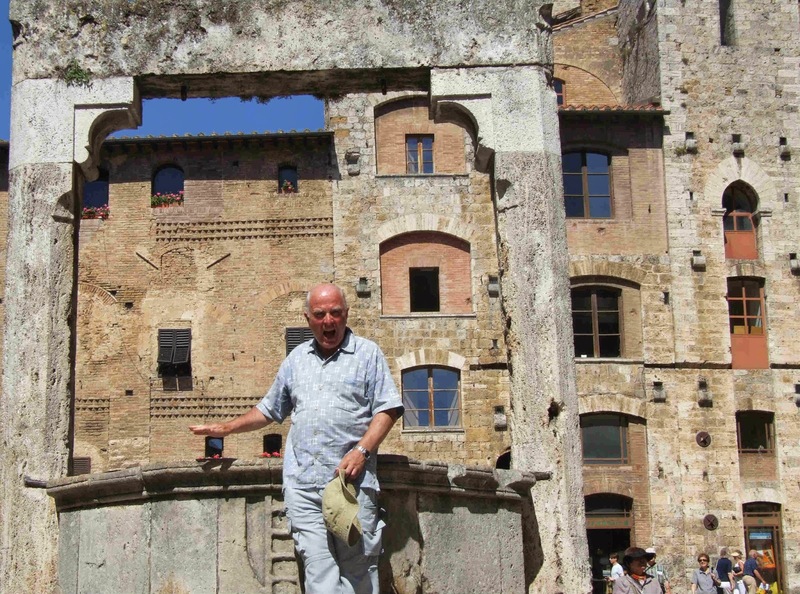 Caldora is the second label at the famous Farnese. 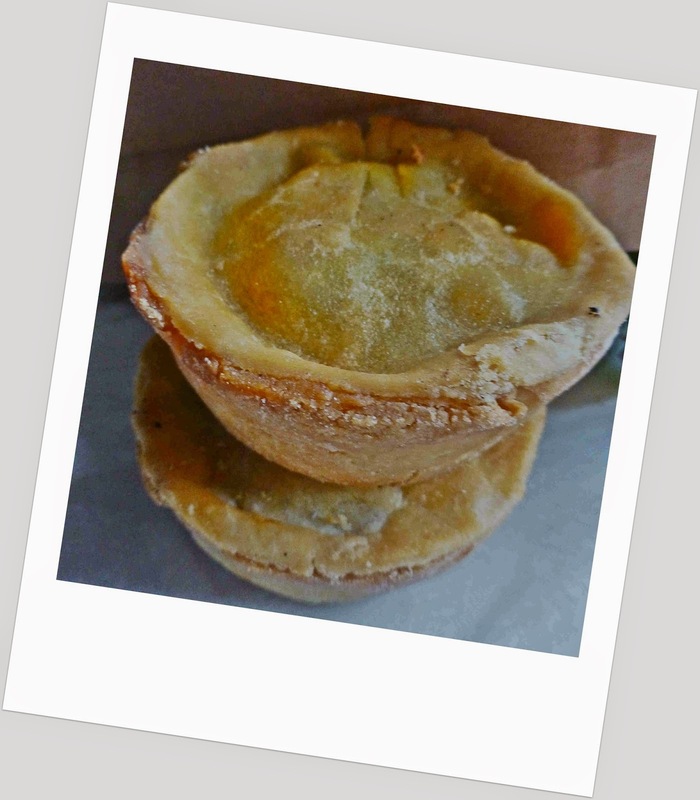 This week’s Taste of the Week is a delicious Spicy Lentil Pie by Gan Gluten. Clare O’Brien is an excellent baker and the pastry here is top notch. The filling is full of flavour and not overly spicy at all. 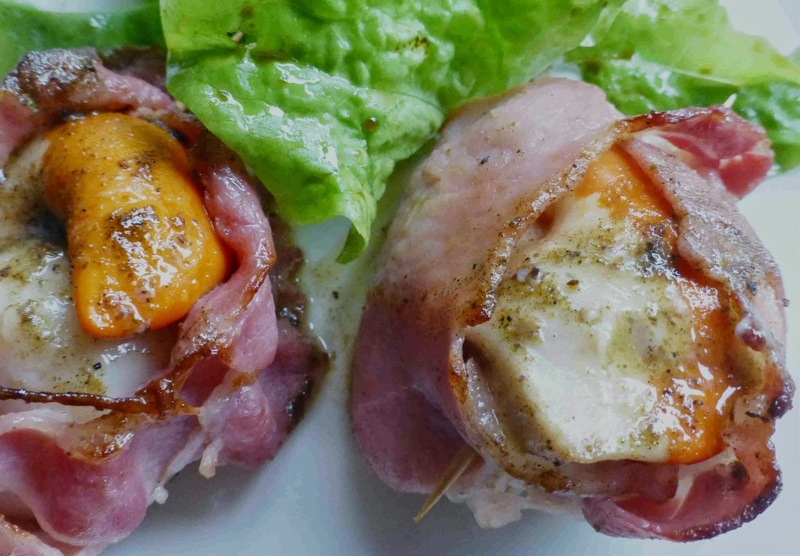 Just a lovely snack at lunch-time or add a few bits and pieces to it and you're well on the way to a tasty dinner. Clare, whose sisters run the Farmgates (in the city and in Midleton), sells her cakes, breads and savouries at Mahon Farmers Market every Thursday and also sells to restaurants, cafes and delis. 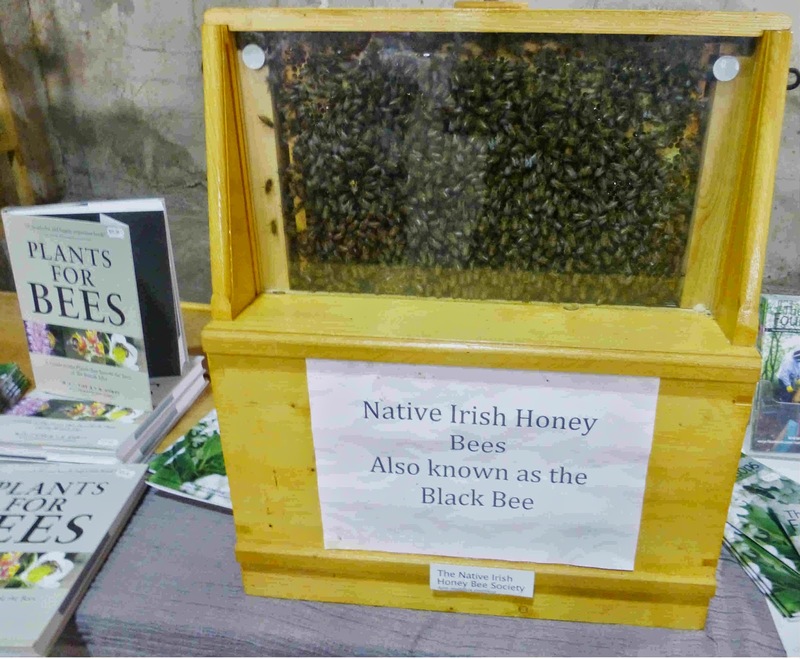 Why not check out her stall on Mahon Point this morning? I might meet you there! Coffee cherries on the tree. Each cherry produces 1, 2, even 3 (rarely) beans. 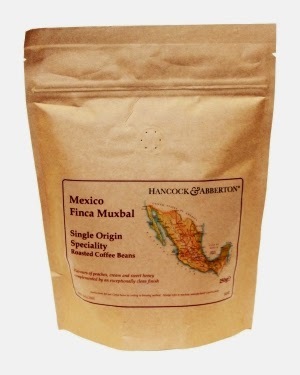 I’ve been sipping some really great coffee the past few days, thanks to Hancock and Abberton who recently introduced me to their Brands of Distinction line. 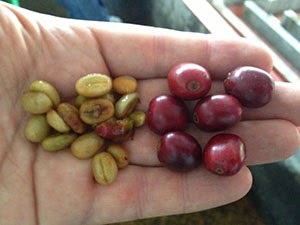 The two above are each a limited Edition Coffee and also a Single Origin speciality. 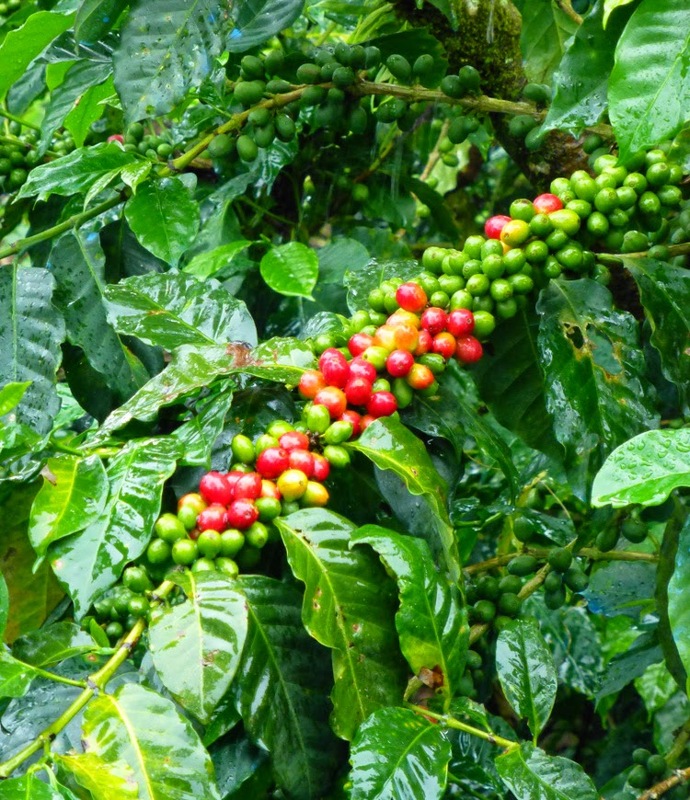 Many people now wonder if the coffee they drink is ethically traded and you may check the providence of these gems here. Briefly, the Mexican is produced by a son and mother team while the East Timor coffee comes via a 16 strong farmers group. The coffee industry in East Timor was largely destroyed during the turn of the century invasion by Indonesian militias that many of you may remember. It is still though a “major export commodity and provides a substantial income for a quarter of the population”. Mexico is the 5th largest coffee producer in the world. Chiapas is the largest coffee producing state and it is from here that these incredible Muxbal beans originate. The word means “surrounded by clouds”, rather appropriate considering the farm, managed by mother and son duo Maeggi Rodriguez and Jorge Gallardo, is at around 1600 metres above sea level, more or less the same height as its counterpart in East Timor. East Timor is much further south than Mexico and this leads to a difference in the harvest season. The Mexicans harvest during December to March while the farmers in East Timor do so in July to September. Coffee tasting specialists have rated both coffees very highly and rightly so. So, how would a non specialist amateur like myself find them? Can honestly say that I though both were excellent, though I did have the slightest of preferences for the Mexican cuppa. This is a medium roast with a superb creamy feel on the palate and a clean almost dry finish. Traces too of sweetness, honey (they say) and indeed they also mention peaches with the creaminess. In any event, it all adds up to great few minutes in the morning. 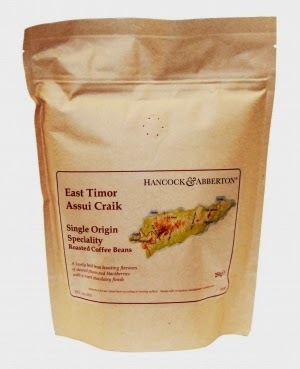 And I was very pleased too with the Assui Craik (the coffee is named after the local village). This has a lighter roast with quite a complex fruity palate (stewed plums and blackberries are suggested) and then the finish is sweet, hints of chocolate present. That bit different from the Mexican but another lovely cup of a morning (which is when I drink most of my coffee). If you would like to try these, or other similar coffees yourself, Hancock & Abberton, based on the Naas Road in Dublin, have a subscription service. You can sign up for three months but the savings are more if you sign for twelve. Check out the various packages here. Remember that these batch runs are limited and will sell out. Each coffee will be accompanied by the provenance, tasting notes and blend profile. Orphans. Play for Penny Dinners.